Like survivors in a zombie movie who have never seen a zombie movie, Amanda Ripley in the latest Alien: Isolation trailer obviously has never seen an Alien movie. 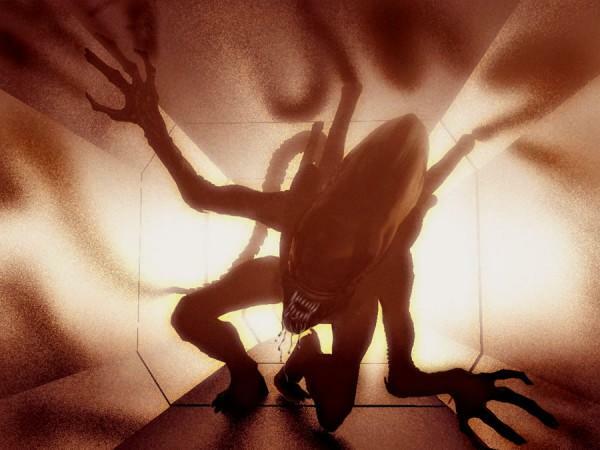 She commits the number one no-no when trying to escape from a xenomorph by jumping into an air duct, and boy does she pay for it. Fans of the films know that this is the number one way the aliens get around, and developers at The Creative Assembly have stated that they put a lot of work into the beast's AI to reflect this. Of course, there are going to be instances when there is no other route forward, and then, all you can do is pray. I'm not entirely sure how this is going to work out, though. If the alien is really as self-aware as the developers claim, then it is inevitably going to create situations that are unbeatable. He'll block the only path that you must take, or he'll catch up with you no matter what. Will you just have to hope that it overlooks you one time? It sounds a lot more like luck than skill, and if that is the case, you are going to be dying a lot when it is not your fault. We'll see. It sounds intriguing enough, and Alien: Isolation is still one of my biggest games of the year. I'm just worried if this game will be a test of your abilities or a test of simply guessing the randomly generated right path correctly. Alien: Isolation will be released on the PlayStation 3, PlayStation 4, Xbox 360, Xbox One and PC on October 7th.